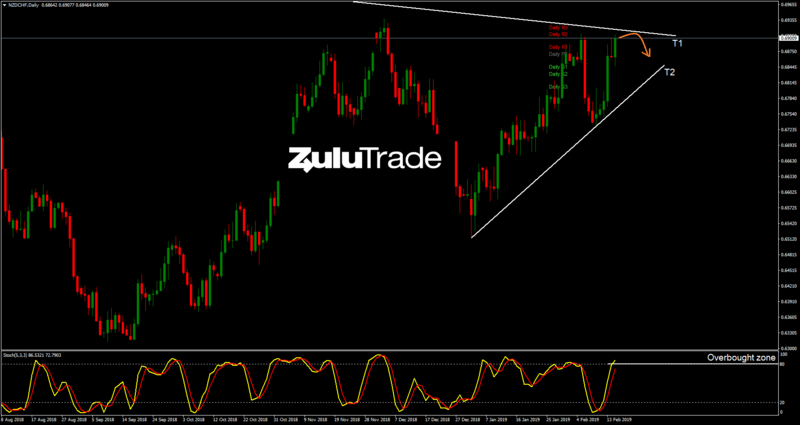 Reviewing the weekly technical aspect, NZDCHF is close to test the trendline (T1), while Stochastics is overbought. Looking at the daily timeframe, the daily (R2) comes in confluence with the trendline (T1), while Stochastics is within overbought zone too. 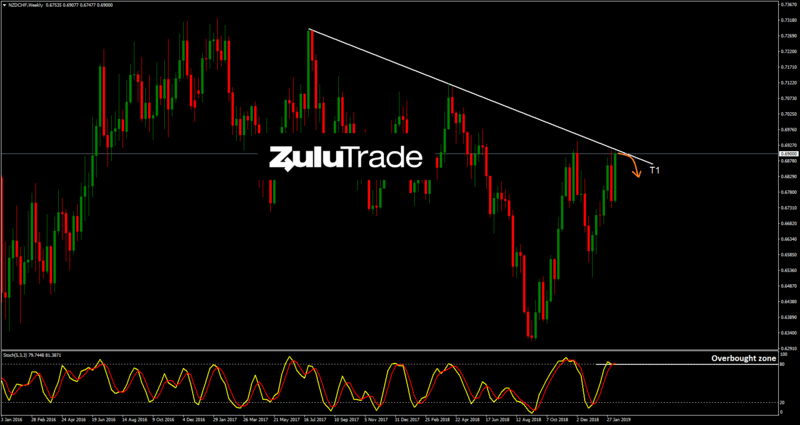 Overall, the setup indicates a potential reversal towards the trendline (T2) offering a selling opportunity to the market. On the other hand, if price breaks the trendline (T1) to the upside, then Buyers may push the pair higher. Today’s agenda doesn’t include any major news or events related to the pair.